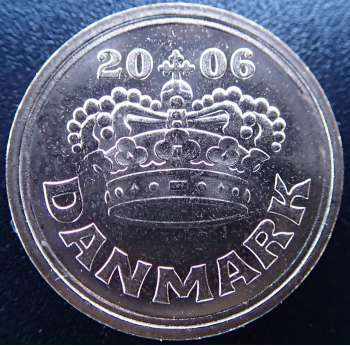 In 2014, 50 Øre is the second smallest coin circulated in Denmark. The smallest one is 25 Øre. 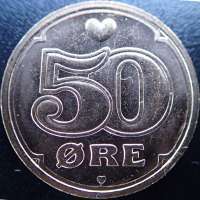 ♥ is mint-mark for Royal Mint of Denmark.